free to download individually. If you prefer to download all 70 mp3s in 3 ZIP files click here. 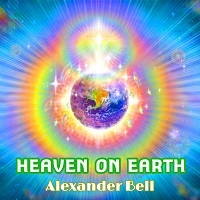 • “Heaven On Earth” – 14 songs (iTunes Store). • “Heart Strings” – 11 violin songs (iTunes Store). 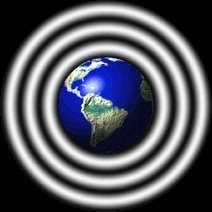 • “Life is Round” – 8 early classics (iTunes Store). There is no other way to be totally free of the pull of fear and darkness, and as each person progresses along on their spiritual journey, they will certainly come to a point where they encounter Christ. Christ will come into their life in some way, and what is vital is that they do not shut the door to him, out of distaste for the religion which was built up in his name. Christ is only about bringing total peace, healing and illumination into your heart. No dogma, doctrines or belief systems are necessary. If you are reading this, it is not by accident. You can save yourself a long, long journey, because whether you know it or not, you are heading for the light also, away from the darkness. So we can stumble along, not seeing very clearly exactly where the path is, or we can allow it be illuminated brightly, so that we can run along it joyfully like young children, knowing exactly where we are heading. Home to total peace, safety and endless Love.